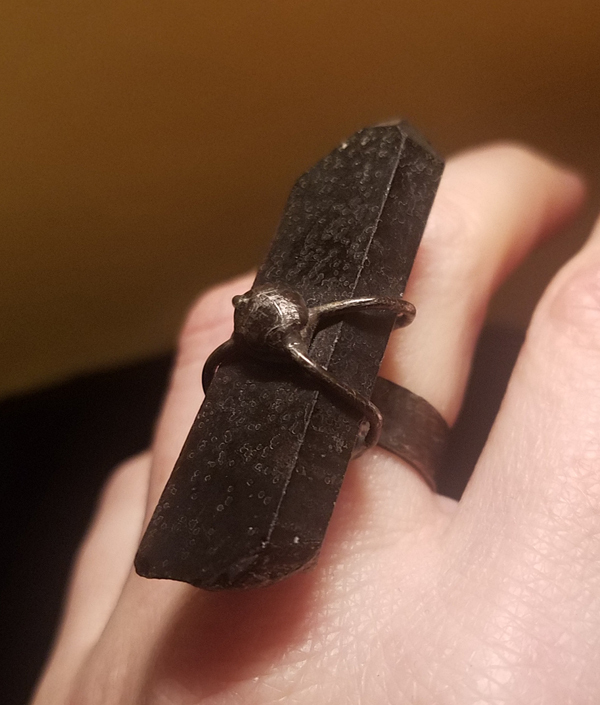 This is an incredible HUGE handmade ring. This is electroformed metal in a dark gunmetal/pewter finish. Nickel-free. 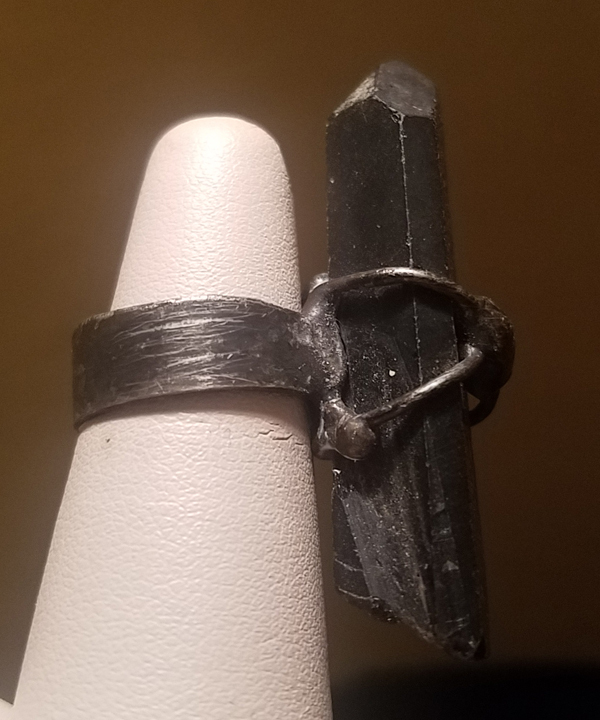 The genuine black morion quartz set into the ring is in its raw form and measures just under 2 inches long! 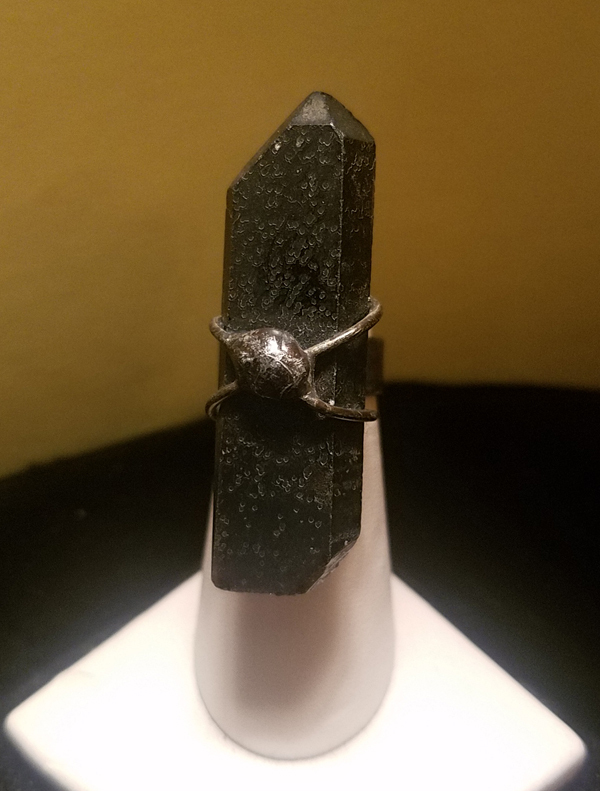 The ring is a slightly under a size 6. It is quite a statement piece! 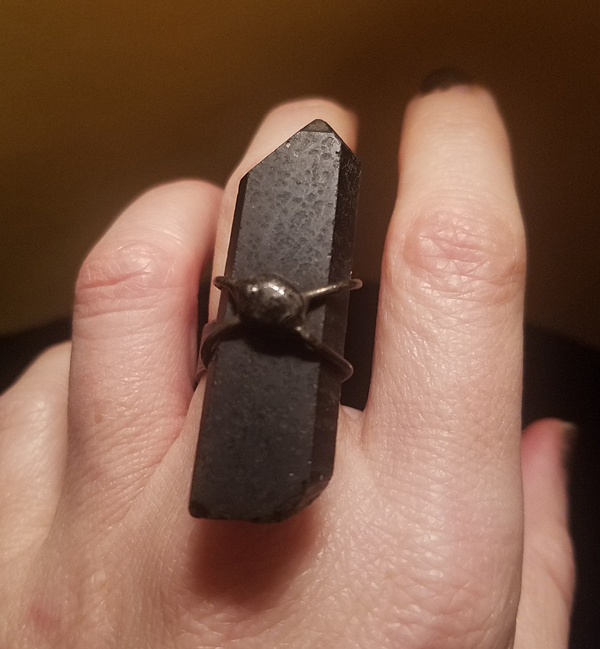 Black Morion Quartz is useful in shadow work, helping you to face the dark aspects of yourself and to release obstacles, bringing more of your spirit into the Light. 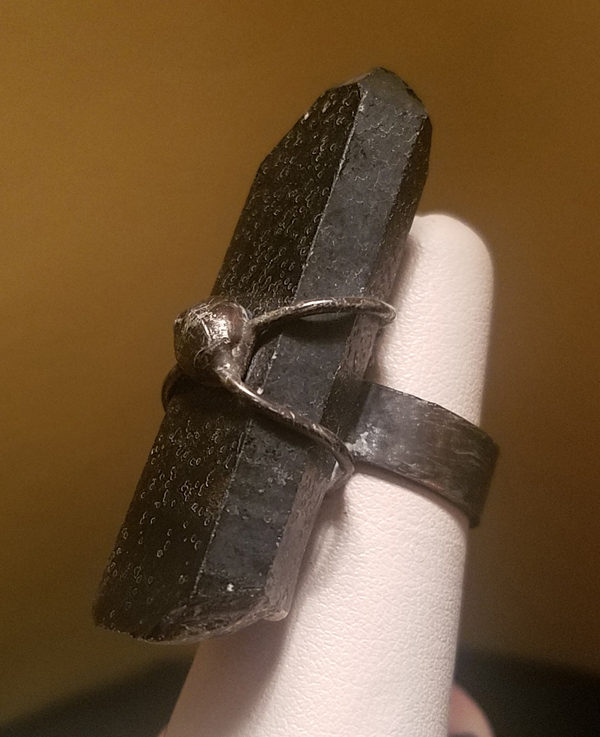 Morion quartz is very rare black quartz formed by natural radiation caused by nearby uranium deposits from South Africa. ... Natural Morion quartz retains some translucence when held up to the light. In addition, this piece is double-terminated meaning the energy flows in both directions.